Capt. D. K. Giri underwent very rigorous and professional training at the Infantry School, Belgaum on all Weapons, Tactics and Commando warfare. Thereafter, he underwent training at the Army School of Physical Training, Pune, on Battalion Sport Weapons in Mhow, on Counter Insurgency and Jungle Warfare in Assam, on Mountain Warfare in Kashmir. Besides the above he underwent training in intelligence collection, security and various other aspects of safety through the strict disciplines of the armed forces. Being a Short Service Officer, Capt. D. K. Giri had the option of quitting the army in 1977, at a young age of 27 years and thus deploying his intelligence, leadership qualities, army discipline & training and most so his strengths & youthful energies to the advantage of the public in need and his personal flare for Private Investigations and Security assignments. 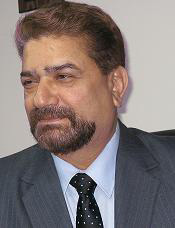 He started this Company in a very humble way from Mumbai in September 1978 and within months, expanded leaps and bounds and spread his operations to Pune by the end of 1980, employing more than 1000 Security Guards and dozens of Private Investigators operating in the State of Maharashtra. The Alexander inside him provoked him to expand his operations to the state of Karnataka, Tamil Nadu and Andhra Pradesh and had a very strong business hold in these states as early as 1983 and thereafter, the Company operations spread through India & abroad. His good work did not go in vain and he was awarded the prestigious, Ratna Shiromani Award, in the Parliament Club, New Delhi, for professional excellence & scientific approach in Private Investigations. He is presently the Chairman of Andhra Pradesh Chapter of The Association of Private Detectives in India (APDI). Although residing and controlling the Head Office at Secunderabad, Andhra Pradesh, he is Globetrotting to coordinate all assignments being the Chief of National & International Operations. The entire rank & file agents of Sharp Detectives are extremely proud of him and his indefatigably and continuously craving to reach the success pinnacles as achieved by him. Being a Short Service Officer, Capt. 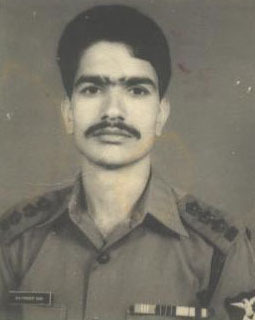 D. K. Giri had the option of quitting the army in 1977, at a young age of 27 years and thus deploying his intelligence, leadership qualities, army discipline & training and most so his strengths & youthful energies to the advantage of the public in need and his personal flare for Private Investigations and Security assignments.